The defining event of this year in japan is obviously the March 11th earthquake and tsunami. Actually that's a bit of an understatement -- It's probably the defining event for Japan thus far this century. What has made it even more tragic is the continuing battle to try and contain the partially melted down Fukushima Dai-ichi nuclear plant. 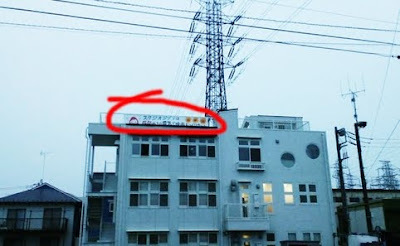 One friend after another in Japan has individually expressed their anger towards the Japanese government and TEPCO, the Tokyo Electric Power Company and their handling (or mishandling) of the crisis, but this has been done privately. Now the folks at Studio Ghibli have let their true feelings be shown about the nuclear crisis in a very big way. 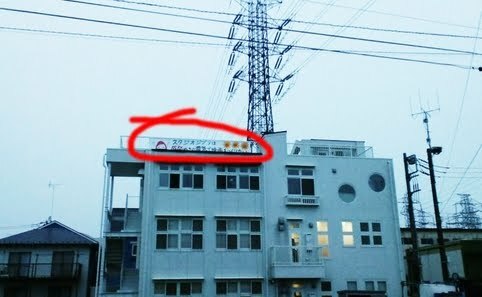 The photo above, that came to us courtesy of TimeOut Tokyo shows a large banner hung at the top of one of Ghibli's Tokyo production facilities and it reads "“Studio Ghibli Wants to Make Movies With Electricity That Isn’t From Nuclear Power.” Reps for the studio, founded by animators Hayao Miyazaki and Isa Takahata, had no comment on the banner, but reall... it pretty much speaks for itself. Does this move come as surprise? Not really, given that so many of the studios films have directly dealt with environmental issues (just watch "Princess Mononoke", "Nausicca of the Valley of the Wind" and "Pom Poko" to see what we mean). What may have taken people off guard is that the protest is so blatant, but it seems like people in Tokyo have had enough skirting of, or downplaying the danger of, this issue in the media. Last Saturday saw numerous public anti-nuclear protests taking place across Tokyo. We applaud Studio Ghibli on their choice to make their opinion heard during this crucial time.